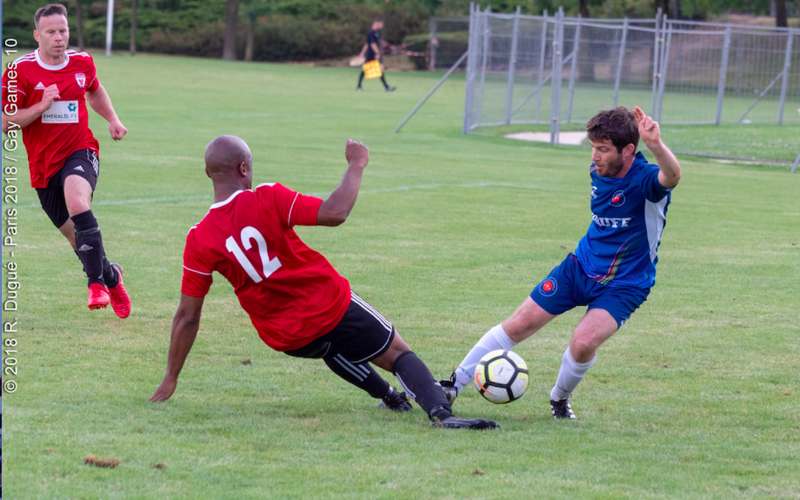 We sat down with IGLFA President, Gus Penaranda, who gave us the scoop on the upcoming LGBTI continental sports event this summer! Compete Magazine- What is the Eurogames? Gus Penaranda- The idea of officially organizing the EuroGames (LGBTI European Multisport Championship) was born after the second edition of the Gay Games held in San Fransisco in 1986. The EuroGames started on a small scale with the idea of supporting LGBTI athletes in their “coming out” as well as the need to network with LGBTI sports associations and clubs in Europe. The first edition of the Games was held in The Hague in 1992. Since then, it has spread on a large scale involving not only the LGBTI sphere, but also the social and civil fabric of the host countries and cities, characterizing the initiatives not only from a sporting point of view, but also from a cultural, tourist and economic point of view. CM- When is the Eurogames? CM- What is IGLFA’s role in the Eurogames? GP-IGLFA has been the LGBTQ Umbrella organization hosting and partnering with clubs/teams across the globe to hold the best in soccer. In IGLFA’s 26 years, we have partnered in tournaments in the US, South America, Europe and Canada and in 2022 Hong Kong. Our tournaments have grown in participation and because of the structure of the tournaments, specific to FIFA rules and regulations and with standards put in writing on what IGLFA tournaments require, we have earned the respect of LGBTQ soccer in the world. Now IGLFA is taking permanent steps to establish permanent presence throughout the globe. In 2019 the Sin City Soccer Classic has become the IGLFA Indoor World Championship which will be held every January as part of Sin City and now we have been invited to partner with Eurogames Rome which if successful could pave the way to having IGLFA permanently sanction the Eurogames giving us a permanent presence in Europe. Our role is to bring the expertise and experience of soccer tournaments to the Eurogames; format, refs, administrators, members and brand name recognition. CM- How can teams and individuals sign up for the football tournament? CM- What is the mission of IGLFA? GP- The International Gay & Lesbian Football Association (IGLFA) was founded in 1992 in order to help promote and foster the growth of LGTBQ football world wide. Since IGLFA’s creation, more than 100 teams/clubs representing over 30 countries have joined and participated at IGLFA competitions. Each of these teams/clubs have played a vital role in helping IGLFA accomplish its goals and uphold its mission. CM- What else do you want people to know? GP- IGLFA is now a 501c3 organization in the United States and we are looking to raise funds to help get teams that otherwise would never be able to make an international tournament to afford to go via our scholarships and to continue our community scholarships around the world promoting the LGBTQ issues that affect each of us in our own homes. We also want to expand and grown Women’s participation in global soccer tournaments with scholarships and community events specific to Women’s Soccer and finally “In the beginning, IGLFA gave many who lived in silence a voice through sport, now 26 years later, it is our responsibility to continue moving this organization forward, so future LGBTQ generations’ voices never go silent again. CM- Thank you Gus! We are looking forward to seeing you this summer in Rome!